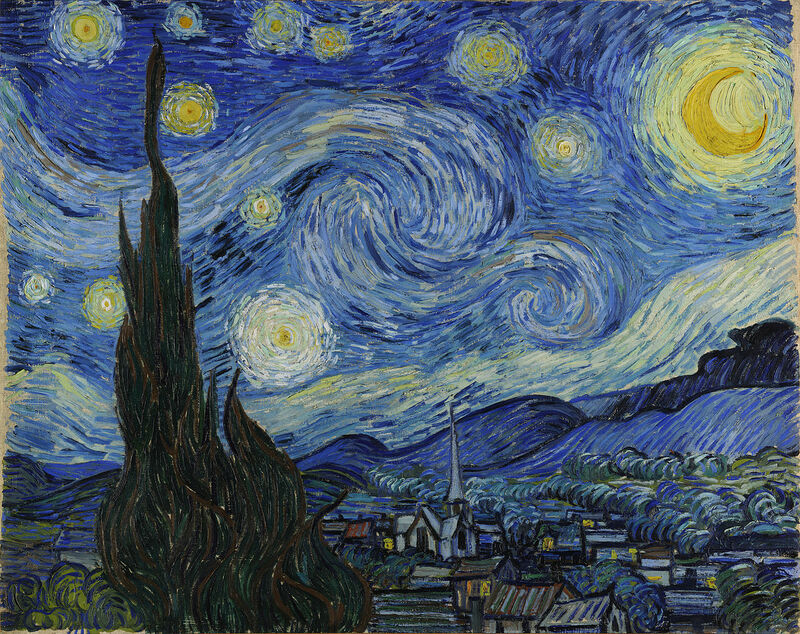 Use these colors to paint your inspired version of Starry Night. Note: black and white paint will be needed for tints and shades. Have fun! Disclamer: Colors vary by paint brand and computer monitor. Colors won't be exact but his should get you in the ballpark.